When first arriving to the river, I might not know which flies to use, but I will almost always tie a Hopper-Dropper Rig. This rig consists of a buoyant dry fly (Chubby, PMX, etc.) and dropping off the dry, a subsurface fly (pheasant tail, pat’s rubber leg, rainbow warrior, etc.). This is a great rig because you are covering 100% of the trout’s diet. Trout are feeding on the bottom? Got that covered. Trout are feeding up top? Yep. Got it. The Hopper-Dropper Rig is a setup that gives insight into what the trout are keying in on. 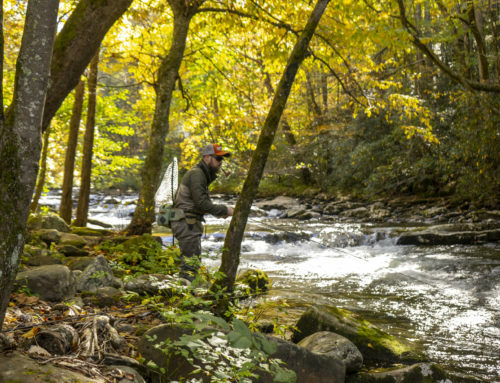 If you find yourself fishing in the North Georgia Mountains, consider the Hopper-Dropper Rig to determine what the trout are keying in on. 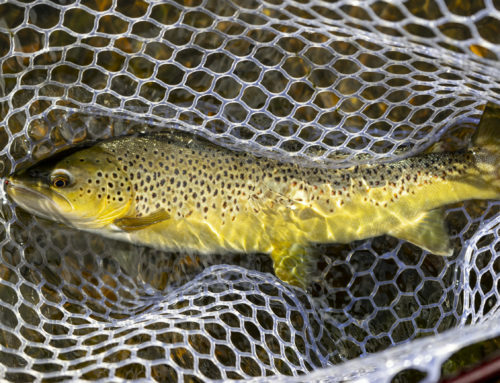 *Pro Tip – Use a 7.5′ 3x leader to the dry fly & drop the bottom fly off using 5x fluorocarbon tippet.